As chronicled in detail on this website, the boxing journey of Ian MacKillop is a unique story unto itself as he has truly led a fighter’s life, traveling all over the world, training with Freddie Roach and Vernon Forrest, and trading leather with tough customers like Kermit Cintron, Daniel Geale and Shannon Taylor. 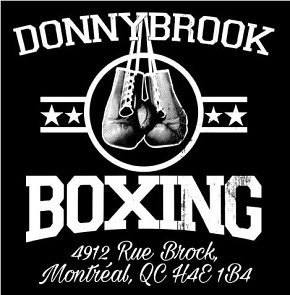 Now he passes on his hard-won knowledge at the Donnybrook Boxing Gym on Rue Brock and while he trains a number of aspiring pugilists, his primary focus is one Shakeel Phinn, a super middleweight contender who was the main event performer on the latest edition of Groupe Yvon Michel’s casino cards. MacKillop with Shak at Donnybrook Gym. 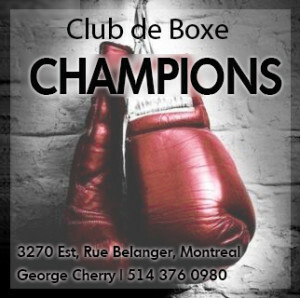 However, Phinn was supposed to be the warm-up act, so to speak, as the scheduled main attraction at the Montreal Casino’s Cabaret Room had in fact been undefeated Marie-Eve Dicaire (14-0) who was set to defend her super welterweight titles, but her opponent, one Lina Tejada (12-5) of the Dominican Republic, failed to pass the pre-fight medical and the main event bout had to be scrapped. 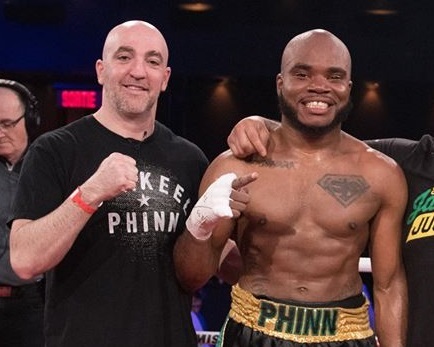 But if some Montreal fans were disappointed at the last minute cancellation, others took interest in what was an important rebound match for Phinn, one of the city’s most promising boxers. Indeed, in MacKillop’s opinion, Saturday’s bout was a crucial test for his fighter. 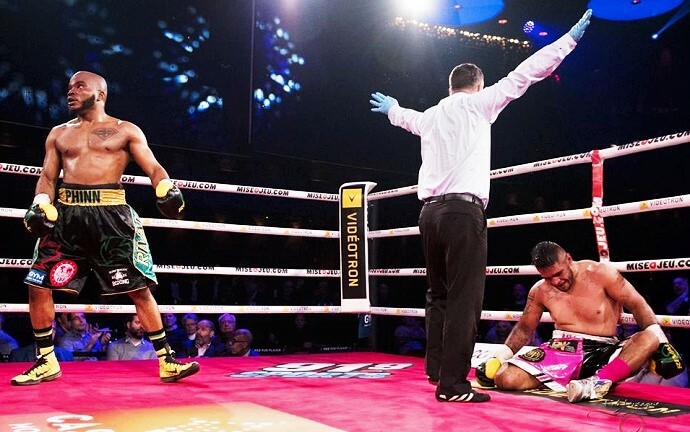 The Bredicean vs Phinn tilt had been part of the undercard for December’s memorable Adonis Stevenson vs Oleksandr Gvozdyk title match in Quebec City, after which Stevenson suffered a career-ending brain injury. 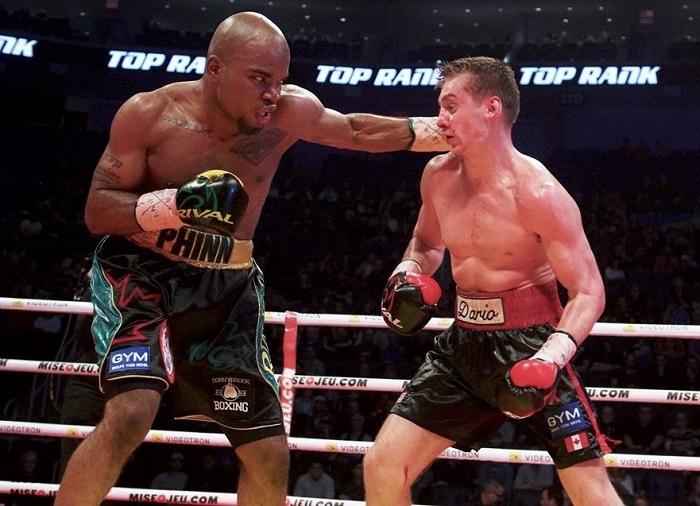 And while it wasn’t televised, the Shak vs Dario match-up did attract attention from local fight fans as it was a rare showdown between two talented Montreal-based prospects. 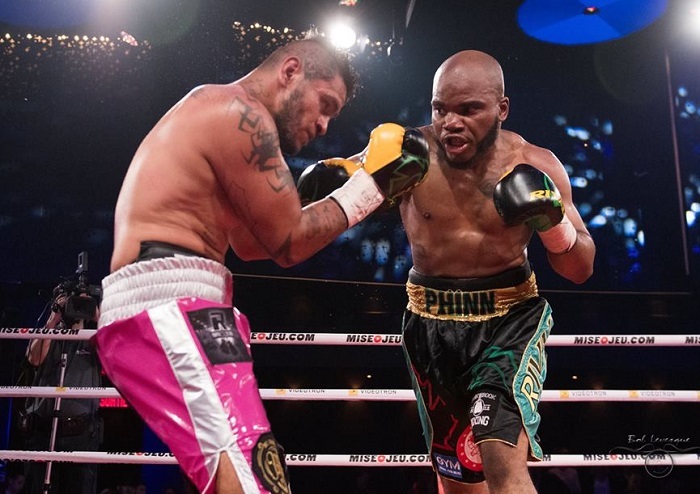 The bout proved a highly competitive and tactical affair with two of the three judges scoring it dead even, and the third giving it to Phinn by a wide margin. While MacKillop, not surprisingly, thought Shakeel did enough to win, he was not at all satisfied with his charge’s showing. But did Juan Carlos Raygosa, a journeyman with a 12-14-3 record, represent the kind of competition by which anyone could accurately assess Phinn’s performance? Was he anything other than a “stay busy” opponent? Raygosa represented a serious challenge. Clearly, in MacKillop’s view, staying focused and executing the prescribed strategy was not the story of the Phinn vs Bredicean match. A more focused Shak stuck with the game plan. 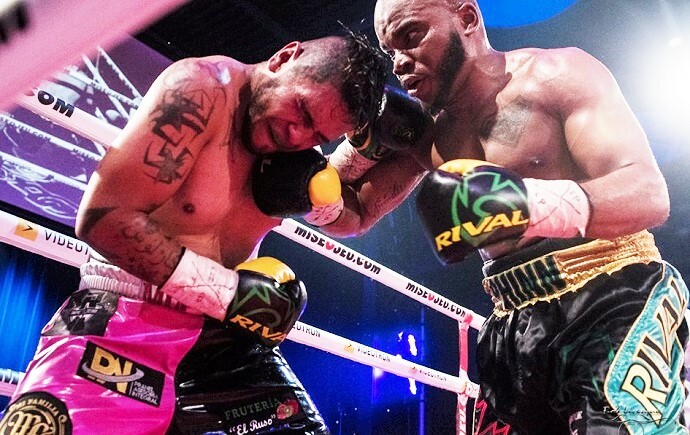 Focus, in MacKillop’s view, is what’s needed in order to bypass competitive distance fights decided by scorecards that may or may not be accurate, and get what the trainer really wants: knockouts. After all, with 14 KO’s to his credit, Shak has shown he’s got the strength and power required to hurt men and put them down. So Saturday’s result was satisfying for Ian not only because his fighter followed the game plan, but because in round five the tough and experienced Raygosa hit the canvas and then decided to stay there. The other components of the game plan involved head movement, level changes, and throwing plenty of jabs. And then having the patience to let the punishment to the belly and ribs accrue over time, though some in attendance at the Montreal Casino didn’t see the need for such patience. Shakeel’s body attack may be his most dangerous weapon. And with that important rebound win under his belt, Shakeel is back in the win column as he turns his attention to the next challenge, one already set for him, and arguably his toughest yet. Once again the site will be the Montreal Casino, but in June, during the big Grand Prix weekend, and the opponent will be a capable fighter who also boasts a knockout over Juan Carlos Raygosa. 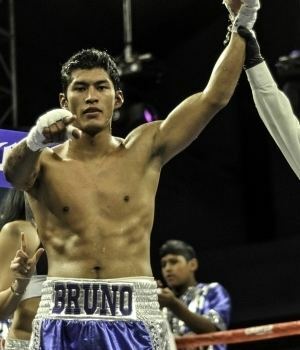 Bruno Sandoval is 20-3-1 with 16 KO’s and has held WBC and USNBC titles. 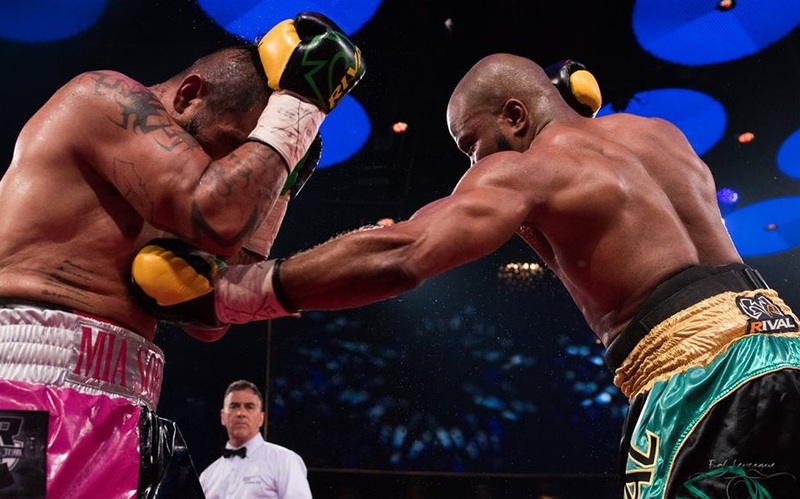 He and Shak will battle for the IBF International super middleweight belt, the winner to take home both the strap and a guaranteed top 15 world ranking. It’s a major challenge, but MacKillop is confident his fighter will rise to it. And if Ian can be a demanding trainer, it’s primarily because he can see Shak’s tremendous potential. 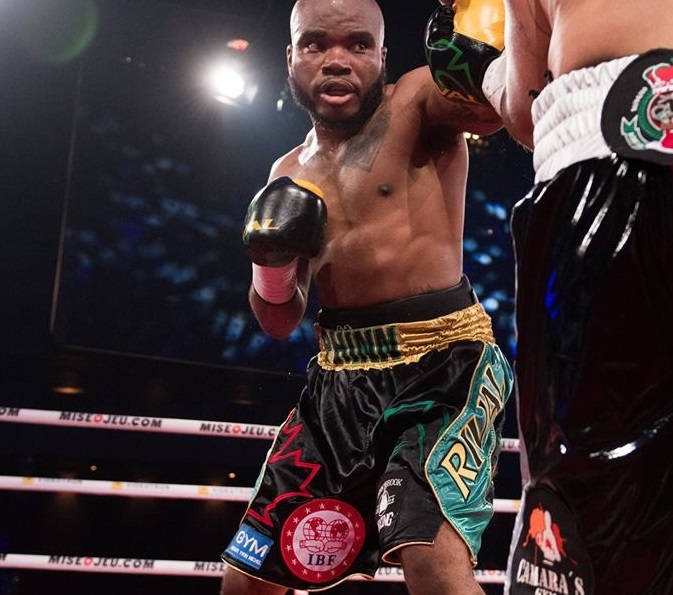 Phinn’s career mark of 20-2-1 reflects the fact there’s been some bumps in the road, but for MacKillop that’s all to the good as they forced his young fighter to become even more serious and committed. Bruno Sandoval: the next challenge. And no one should overlook the key weapon that decided the Raygosa fight, namely a special talent for rifling agonizing, will-sapping blows to an opponent’s vitals. A hard truth for all boxers is you can be in optimal condition and do a million sit-ups, but nothing will make your liver, kidneys and stomach less vulnerable. So how do you know for certain a boxer has had a truly outstanding performance in a given fight? One that reflects all the hard work in the gym and bodes well for the future? You don’t listen to the fans, or the back-slappers, the promoters or the pundits. 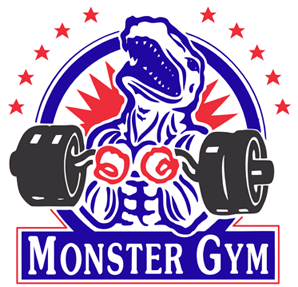 You listen to the trainer. 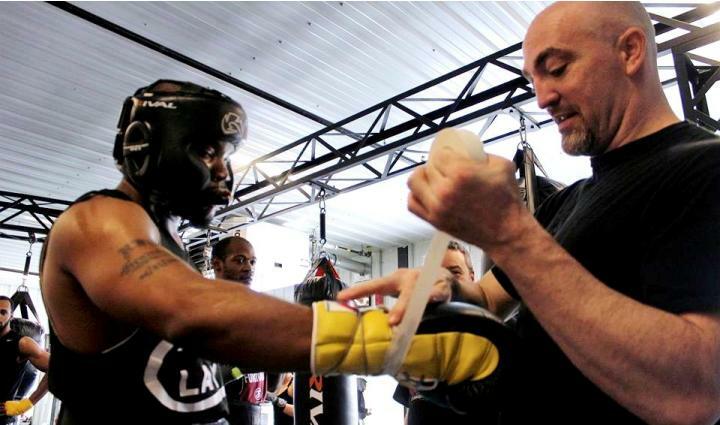 And according to this coach, Shakeel Phinn is ready for his big test come the eighth of June in Montreal.